Find all Tomberlin Residential Vehicles. Tomberlin is a part of the Nordic Group of Companies – a family-owned manufacturing and management business based in Wisconsin. Nordic’s manufacturing operations extend throughout the United States, Mexico, and Europe. Aside from Tomberlin, the company’s portfolio includes industry leaders Flambeau and Seats Incorporated. 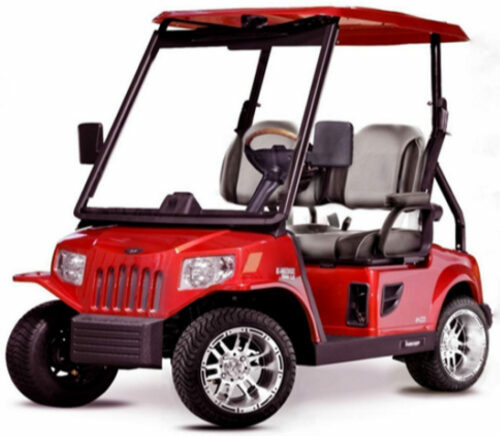 Tomberlin is committed in manufacturing and producing low speed vehicles and golf cars that are stylish, safe, and superior in quality and performance. Get your own Tomberlin residential golf car today. Feel free to drop us a line for any inquiries and concerns and we would be more than happy to assist you. Emerge E2 SE: Tomberlin’s Emerge E2 SE is a residential golf cart that is both stylish in design and ruggedly built. It has 17HP AC motor, regenerative brakes, and eight-6V battery configuration – making it the perfect vehicle for city driving. It can seat two passengers with an optional additional two rear-facing passenger seats, and two speed settings of 14.9 and 19.9 miles per hour. Emerge E2 SS: The Emerge E2 SS comes with a customized dual-toned high backed seating and elegant e-coated tubular steel frames. 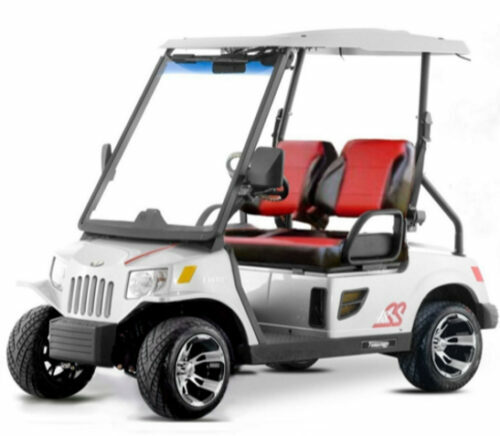 Its 5kw AC drive 17HP peak regenerative braking motor, eight 6V battery configuration, double ended rack and pinion steering, and four-wheel hydraulic brakes make residential driving a pleasurable experience. IT can seat two passengers with an optional additional two rear-facing passenger seats, and two speed settings of 19.9 and 25 miles per hour. 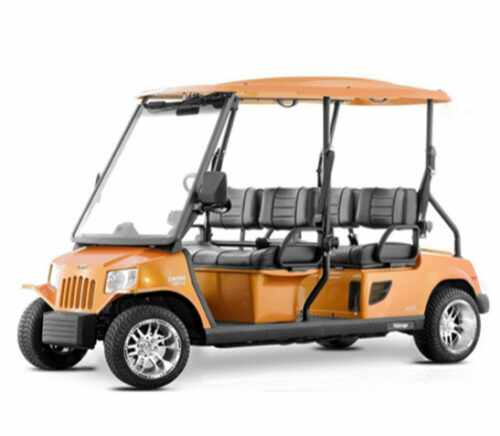 Emerge E2 LE: If you are looking for a trendy residential golf cart with stylish interiors and comfortable high back seats with arm rests, then the Emerge E2 LE is for you. 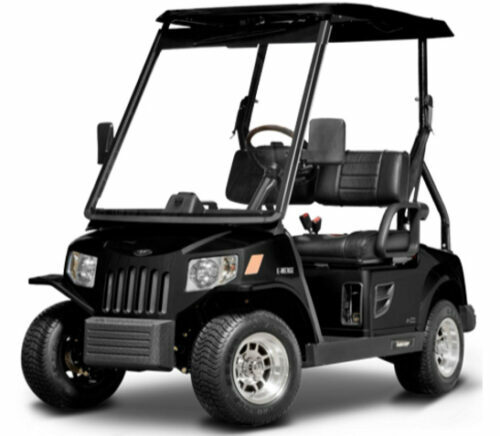 At the same time, this vehicle features a mighty 17HP AC motor, 48V battery configuration, 4-wheel hydraulic brakes, and rack and pinion steering – making it a reliable transportation options for residential communities. The Emerge E2 LE can seat two passengers, with an optional matching two passenger rear-facing seats, and offers two speed settings of 19.9 and 25 miles per hour. Emerge E4 LE: Tomberlin’s Emerge E4 LE is a spacious four-seater residential golf car that is perfect for bigger families. It comes with a powerful 17HP AC regenerative braking motor, eight 6V battery configuration, double ended rack and pinion steering, and 4-wheel hydraulic brakes under its hood – making it the perfect family vehicle to run errands in. The Emerge E4 LE can seat four passengers with two forward-facing upholstered bench seats with arm rests, with an optional matching two passenger rear-facing seat, and offers two speed settings of 19.9 and 25 miles per hour.